These wings are so Shabbylicious! 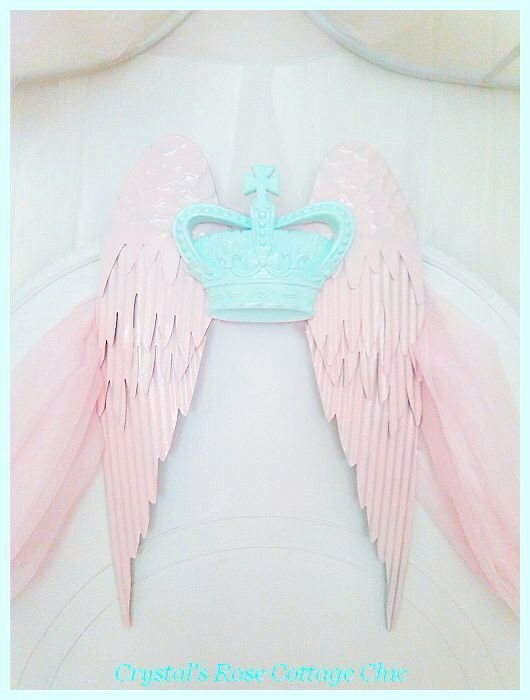 Painted the perfect shade of Shabby Pink and a darling aqua vintage look crown! 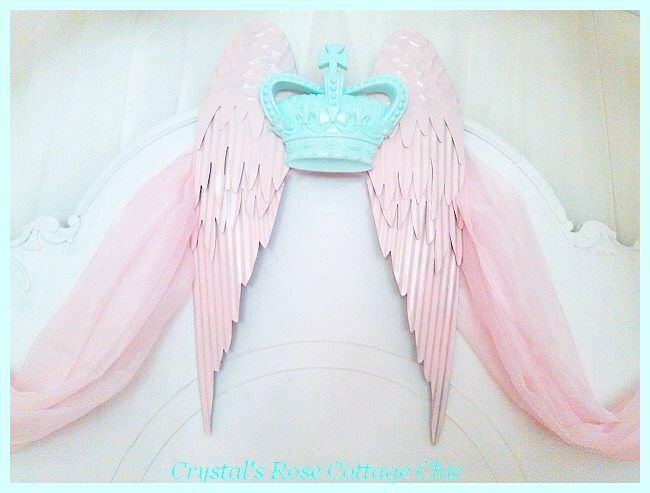 Shown on a full size headboard, works beautifully over the bed too as a bed crown canopy or on a vintage door or your wall for a touch of Shabby Chic charm! Sheers are optional, please see drop down menu below. 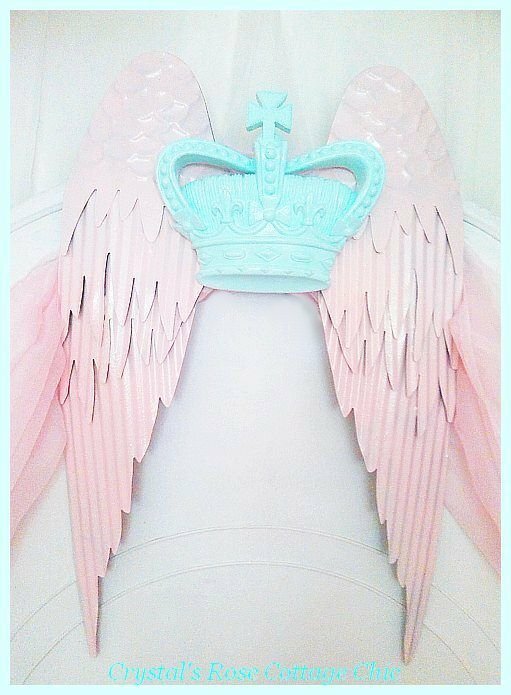 Please select your crown and wing color below.Wings are made of light weight metal, crown is resin and measures 26" x 18".